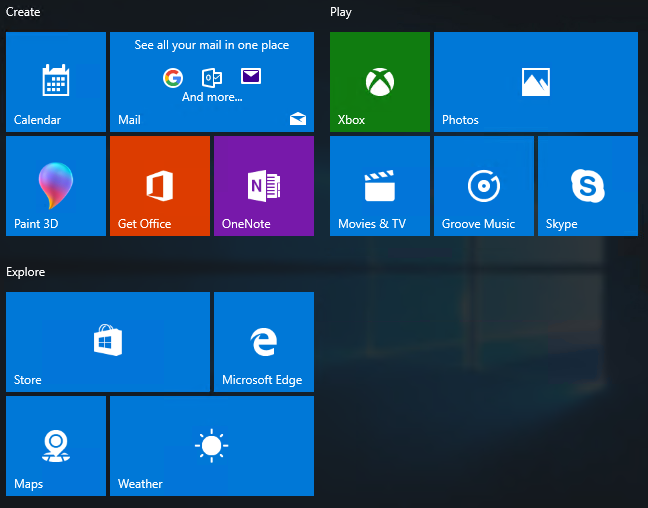 Windows 10 Consumer Experience adds tiles to the Start Menu for things like Candy Crush, Solitaire, and other non-business applications. There’s a simple way to disable this. 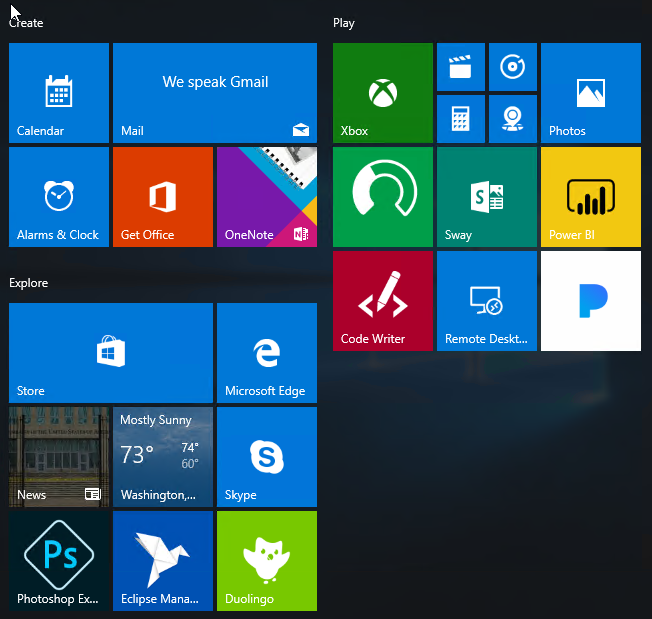 Note that this does not remove any of the built-in apps like Calendar, Mail, or even Xbox. The best and most practical way to disable this would be Group Policy. 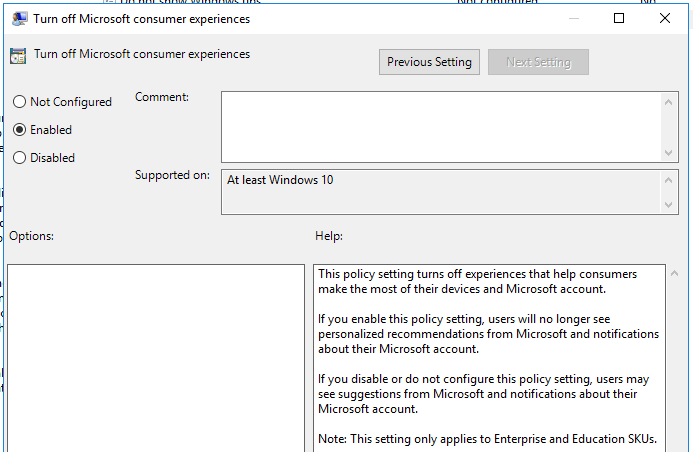 There’s a setting called “Turn off Microsoft consumer experiences” located at Computer Configuration > Administrative Templates > Windows Components > Cloud Content”. If you enable this policy, the extra stuff will go away. The GP setting above sets a registry key on the device. You can configure this registry key for the same result. Finally, this can configured with MDM. The OMA setting you want is Experience/AllowWindowsConsumerFeatures, and you want it set to 1.